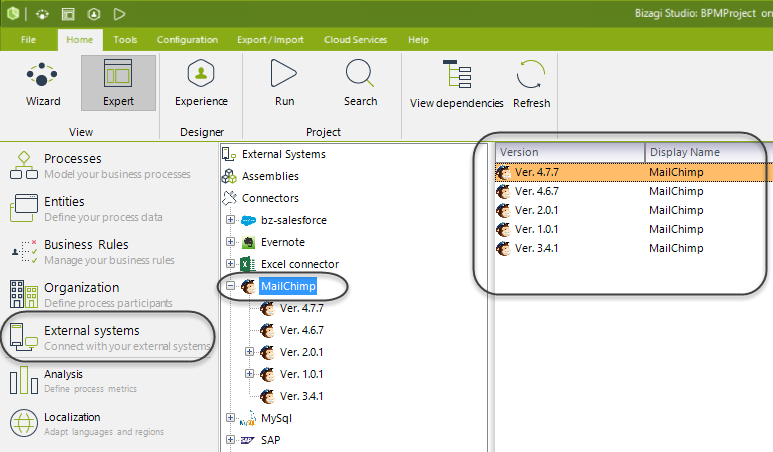 When creating or modifying existing connectors, you may rely on versioning features in Bizagi for connectors. Recall that with connectors, you can use more than one version simultaneously to help you minimize risks involved when changing the code and behavior of your connector itself, or when upgrading to a newer API version the connector uses. This section illustrates how versioning works for connectors and describes recommended practices. As with any software program or component, versions are divided into major versions, minor versions and minor updates. 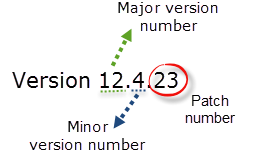 The digits in the version number reflects major and minor version detail as described below. •Mayor version: The number representing a significant release of a connector. •Minor version: The number representing a set of modifications done to a major version. •Minor updates: The number representing a set of modifications done to a minor version. A major version change is when the first set of digits before any dot change (from left to right). This means for Bizagi, that a new major version significantly differs from any other major versions before. Bizagi supports multiple major versions running simultaneously. In other words, when installing a new major version of a connector, Bizagi will not replace any previous version. When having multiple major versions installed, it is recommended to make sure you name their configuration with such detail, so that their use does not turn confusing in those places where processes needs to know which one to use. A minor version change is when the second set of digits change (from left to right, digits after the first dot). This means for Bizagi, that a new minor version significantly differs from any other minor versions before. Bizagi supports multiple minor versions running simultaneously (as well as multiple major versions). 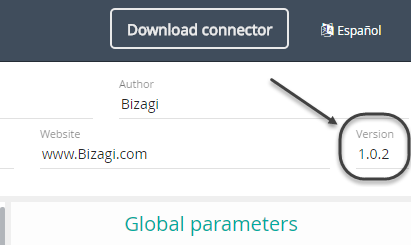 In other words, when installing a new minor version of a connector, Bizagi will not replace any previous version. •When having multiple minor versions installed, it is recommended to make sure you name their configuration with such detail, so that their use does not turn confusing in those places where processes needs to know which one to use. •Note that if you add or remove one or more methods in the connector, this will represent a Major version change. Therefore, the first group of digits must be update in order to avoid errors in Bizagi Studio. A minor update change is reflected when the very last digits change (from left to right, a third or more, set of numbers). This means for Bizagi, that a new minor update includes adjustments and tweaks for an existing minor version that render the before minor update without any advantage. You may not have multiple minor updates of a same minor version running simultaneously. In other words, when installing a new minor update of a connector, Bizagi will replace a previous minor version so that every minor version has at most one current update. When installing minor updates make sure you do want to replace an existing version. Otherwise if what you want, is to keep a previous version already installed of that connector, you will need to create a new major version, or a new minor version. Recall that once a new minor update is installed, it will replace the current one under its same minor version and you will not be able to switch it back in Bizagi. When a minor update is replaced by a greater minor update, all the configurations are kept in the processes (includes the inputs and outputs mappings). Due to this reason and if you have performed changes regarding inputs and outputs while still producing those changes as a new minor update, it is recommended that you review any configured use of the connector by your processes. To see what versions of your connector are installed, go to the Expert view in the Home tab from the Ribbon. Select External Systems and expand the Connectors item. The list will show all of the installed connectors and you may expand the one you are interested in to verify existing versions. To apply a version in a connector just change the number of version when editing (or creating a connector) through the Connector Editor. Bear in mind that assigning a version to connector is a manual process. The user is in charge to select a version as he/she sees fit. In case that you wish to explicitly force that Bizagi takes up the new definition of your connector without relying on any information that may reside in its cache, you may have your environment's runtime generate the latest definition of your connector. To do so, you may locate the connector and delete its folder at .\Tools\connectors\node\[su_conector] (by default at C:\Bizagi\Projects\[your_project]\Tools\connectors\node). When doing so, you will need to restart your web server (i.e, perform an IISReset).